On December 12, 2017, Pennsylvania’s Environmental Quality Board (EQB) unanimously approved a final-omitted rulemaking to substantially increase the Act 2 cleanup standards for beryllium, cadmium, and aldrin. The Act 2 cleanup standards are risk-based, meaning they are calculated according to the methods described in 25 Pa. Code Chapter 250 using the best-available toxicological data to be protective of human health under a variety of exposure scenarios. The standards must be periodically revised as newer and more accurate toxicological information becomes available, and the last such revision occurred in August 2016. This currently proposed revision is intended to correct errors that were discovered in the 2016 cleanup standards for three substances: aldrin, beryllium, and cadmium. The original and corrected cleanup standards are presented in the table below. These corrections will result in a decreased cleanup standard for the environmentally-persistent organochlorine insecticide aldrin. Since aldrin is currently a contaminant of concern at only 10 cleanup sites in Pennsylvania, this correction is expected to have limited impact on the regulated community. However, the substantial increases to the cleanup standards for the naturally-occuring metals beryllium and cadmium should have a significant positive effect on many Act 2 cleanup sites across the state, allowing for a faster and less-expensive path to obtaining Act 2 liability relief while still remaining protective of human health. 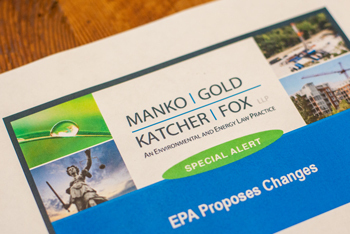 MGKF was instrumental in identifying and correcting these errors because of the participation of our partner, Michael Meloy, on the Cleanup Standards Scientific Advisory Board. Because these corrections are not expected to significantly increase the burden on the regulatory community, this proposed rulemaking is not planned to go through the typical public-commenting process. Therefore, the new cleanup standards should go into effect when they are published to the Pennsylvania Bulletin and Code in the Spring of 2018.